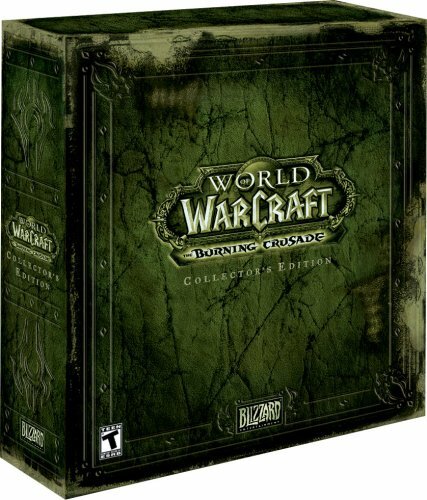 World of Warcraft: Burning Crusade Collector's Edition by Blizzard Entertainment This is a used Collector's Edition Box with minimal shelf wear (shown in pictures.) includes stunning Art Book,Original game CD ROMS, Soundtrack, Mouse Pad, SEALED Behind the scenes DVD, and SEALED trading cards! Pictures show everything that is included with this lot. 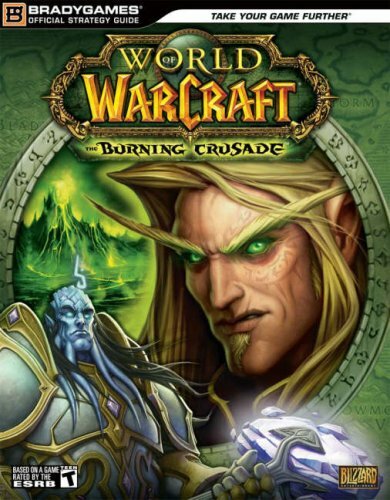 The Burning Legion surges into Azeroth in countless numbers while the warlock Gul'dan seeks the hidden remains of Illidan the Betrayer-the final component in a ritual to summon the Dark Titan Sargeras. As your world crumbles beneath the invasion, you must take up ancient artifact weapons of unbridled power and forge a forbidden pact with the vengeful demon hunters of the Illidari. For only you and your accursed allies can end the Legion's apocalyptic ambitions and prevent Azeroth from falling beneath the Great Burning Shadow. Forge your future from the iron of the pastThe Iron Horde must be stopped. Garrosh Hellscream has escaped to the past and united with his father Grommash, fierce leader of Warsong clan. Together they are forging the orc clans of Draenor into a savage war machine. It falls to you to crush the Iron Horde before the Dark Portal is completed and the invasion begins. Travel to the Draenor of the past: a world of giants and monsters, a world the fearsome and legendary orc chieftains call home. Face the dangers of this untamable world and bring down the Iron Horde — before both the past and the future are lost forever. 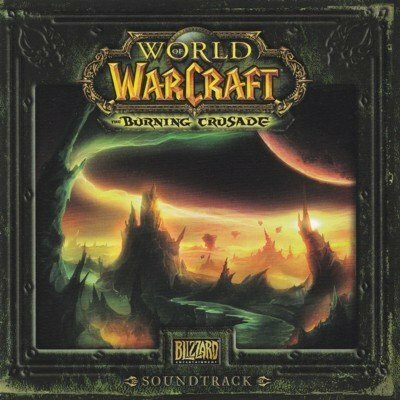 This official soundtrack was only released as part of the collector's edition of World of Warcraft: The Burning Crusade and is quite rare to find today. It includes four exclusive pieces of music not available elsewhere, for a total of 21 tracks and a running time of 77:45. This soundtrack offers a lush fantasy score from the popular online video game featuring live performances by the Northwest Sinfonia Orchestra on a few tracks, lush vocals, as well as many other ethnic instruments ranging from Duduk to Shakuhachi. Fans of the World of Warfcraft games will definitely enjoy having the music on CD, but this score is quite accessible to anyone else who enjoys solid fantasy music as well. 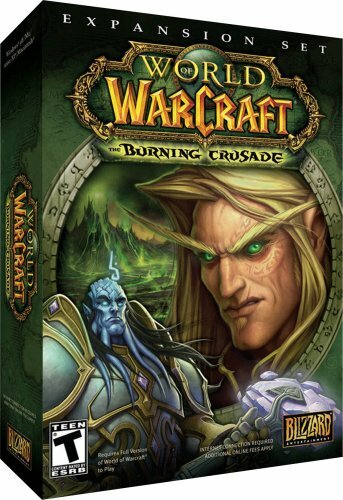 BradyGames’ World of Warcraft: The Burning Crusade Official Strategy Guide includes the following: New Races: Complete coverage of the Blood Elves and Draenei. From their strengths to their starting zones, nothing is left in the dark New Weapons: Discover the awesome battery of weapons and armor at your disposal, with detailed equipment lists of the Superior, Epic, and Legendary items found in the darkest reaches of this new world. Hellfire Explored: Let BradyGames guide you through the first Outland World Dungon: Hellfire. Know what quests lead there, what bosses reside there, and what treasures you will take from there. Outland Revealed: Every zone is laid open before you. From Netherstorm to Shadowmoon Valley, we take you through it all in quest-based easy-to-use modules. New PvP System: Learn what to expect from the new world PvP and Arena battle systems. Understand the unique goals and rewards of each new PvP zone. Complete Crafting Coverage: Every recipe for every crafting profession. From 1 to 400, we cover it all. Exclusive new World of Warcraft comics from Penny Arcade!Platform: PC Genre: Role-Playing GameThis product is available for sale worldwide. 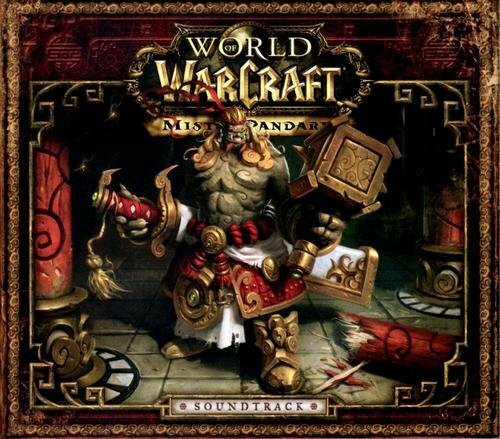 World of Warcraft: Mists of Pandaria takes players to the shore of a new continent, and with it a chance to hear some of the most stunning music of the series. Given the gorgeous Asian setting, players will be thrilled with the grandeur and mystery of the far east mixed with the power of a live orchestra and chorus. 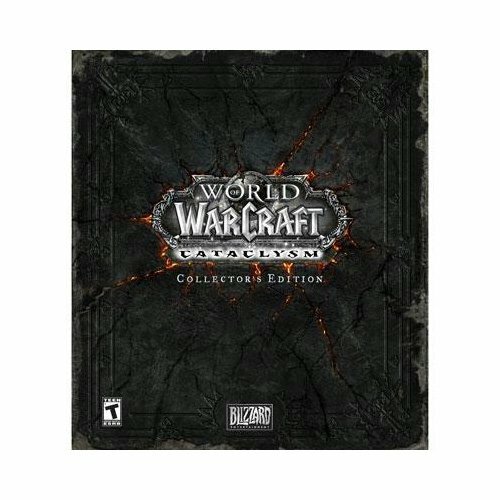 Composed by series veterans like Russell Brower and Neal Acree along with British Academy Award winner Jeremy Soule (best known for his scores to games like Skyrim and Guild Wars), this is truly a soundtrack that must be experienced by any fan of World of Warcraft or epic scores in general. Never for sale on its own, this rare official CD album contains 20 tracks (including the 3-track epic Canticle of Shen-Zin Su) and almost 82 minutes of music in a gorgeously illustrated multipart digipack case. 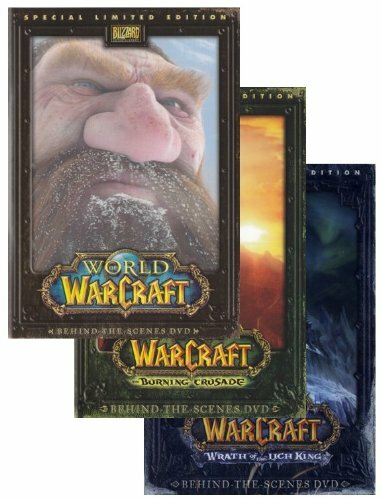 Never available together before in one place, these gorgeous limited edition DVDs provide well over 10 hours of behind-the-scenes material from the juggernaut Warcraft video game franchise. Crammed with more content than can be described, from interviews and commentary with the creators including audio, art, design, and writers, as well as footage from Blizzcon, cinematics from the games, trivia from the series, and so much more. 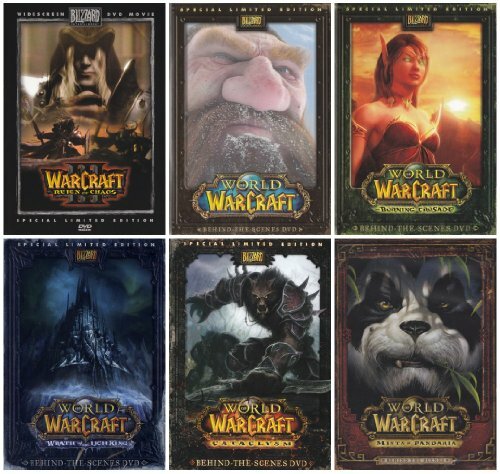 These official limited edition DVDs each come in their own clamshell case with gorgeous artwork, and include a volume each for Warcraft III: Reign of Chaos, World of Warcraft, World of Warcraft: The Burning Crusade, World of Warcraft: Wrath of the Lich King, World of Warcraft: Cataclysm, and World of Warcraft: Mists of Pandaria. (which has a DVD and a duplicate Blu-Ray disc for those with newer players) for a total of 7 discs. 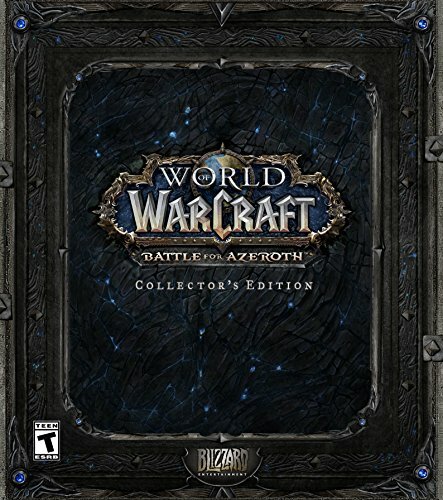 This is a must have set for any World of Warcraft fan, or anyone interested in the phenomenon that's swept the gaming world. 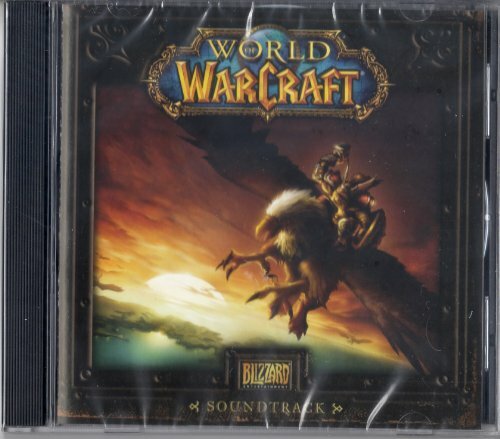 From the world's most popular online role-playing game comes this deluxe official soundtrack that was originally only available for a short time to those who bought the collector's edition of the game. Featuring some of the best known world themes, city themes, ambient cues, and intro music, this soundtrack is perfect for anyone who has played the game or who enjoys good fantasy music. 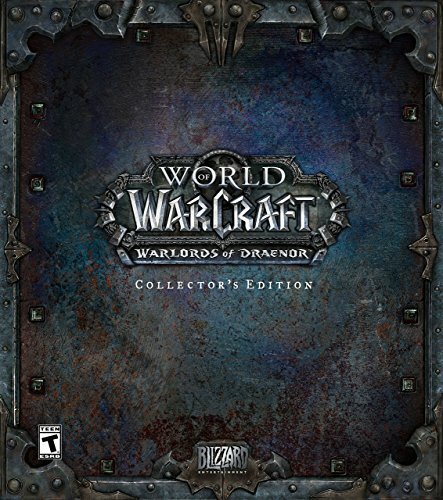 From the best selling massively multiplayer online role-playing game, World of Warcraft, comes this deluxe DVD packed with over an hour of exciting behind-the-scenes content. ART STAFF COMMENTARY: Delve into the unique visual style crated for World of Warcraft with the team's art staff. 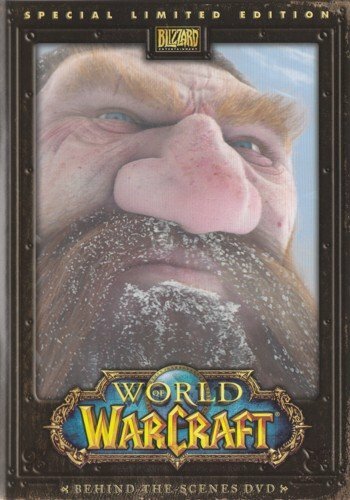 THE WARCRAFT STORY: Explore the background of Warcraft's evolving storyline with Blizzard's Creative Director, from the original Orcs & Humans through World of Warcraft. 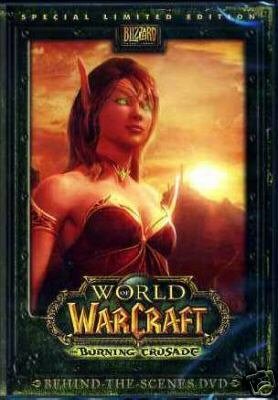 GAME DESIGN COMMENTARY: Examine the process that produced the World of Warcraft game mechanics as the designers reveal the challenges they faced in creating this massively-multiplayer world. 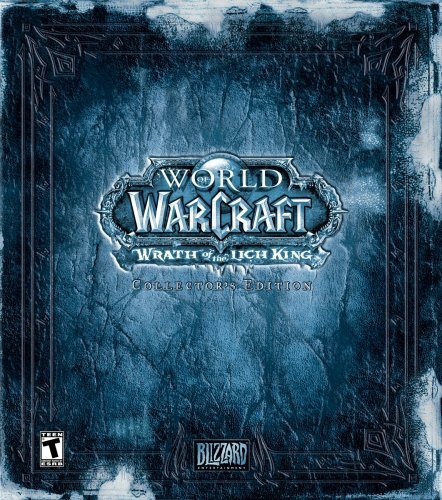 CRITICALLY ACCLAIMED CINEMATICS: View digitally mastered versions of Blizzard's acclaimed cinematic scenes, including the intro sequence to World of Warcraft -- complete with localized versions, subtitles, side-by-side storyboard sequences, and more -- the Warcraft III Expansion: The Frozen Throne full cinematics (appearing for the first time on DVD), exclusive concept art, and more! This DVD was originally only available with the limited collector's edition of the game and is quite hard to come by now, but fans of the series will find it well worth tracking down for this incredible wealth of content. Celebrating StarCraft II: Wings of Liberty comes this brilliant album. 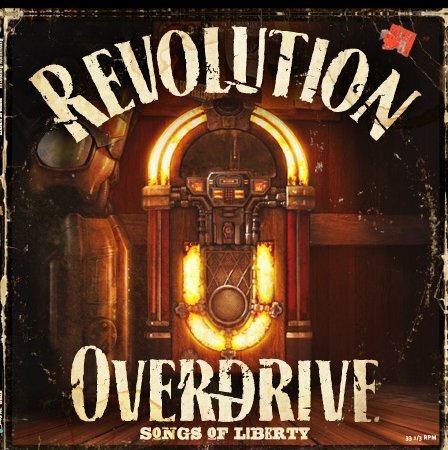 The full-length playable LP features 11 of the tunes played in jukeboxes in Joeyray's Bar in the game, including a mix of hits like "Freebird" and "Sweet Home Alabama" and new songs written for the game like "Zerg, Shotgun, You" some of which are performed by the likes of Blizzard's own Chris Metzen. Aside from the exclusive music, the presentation is top-notch: The record sleeve is gorgeously weathered, the liner notes are written as if from the game world itself, and the fully-playable LP has stunning graphics on both sides including a sniper in an ace on front and a creature skeleton on the other. Available exclusively for a short time from Blizzcon 2010, this is a very rare and must have piece of memorabilia for any fan of the StarCraft franchise. From the most popular online computer game series of all time comes this deluxe 3-DVD set featuring over four hours of fascinating in-depth behind-the-scenes material. From exclusive interviews with the creators and developers of the Warcraft universe to the many award-winning cinematics and trailers created for the series, there's plenty here to delight any fan of the games. Also expect to get a behind-the-scenes look at what went into creating the cinematics including side-by-side comparisons with the storyboards and concept art, plus the director's commentary, a look at BlizzCon complete with a musical performance by Level 60 Elite Tauren Chieftain, and much, much more. 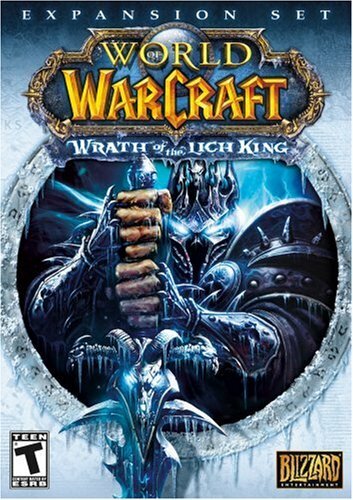 Originally available only in the limited edition collector's editions of World of Warcraft, The Burning Crusade, and Wrath of the Lich King, these Behind-the-Scenes DVDs are very rare and are now available together for the first time ever. 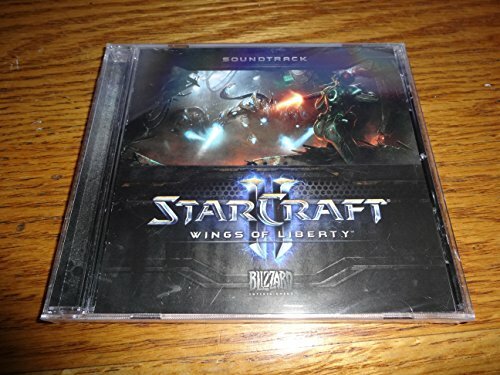 One of the most memorable video game scores from 2010, the soundtrack to StarCraft II: Wings of Liberty picks up where the original StarCraft games left off and propels the music even further than before. With the participation of two of the original composers as well as new talent like Cris Velasco (God of War series) and Inon Zur (Prince of Persia series), and the might of the prestigious Skywalker Symphony Orchestra as well as a full choir, this soundtrack is a force to be reckoned with. The Terrans, Zerg, and Protoss all have their own unique musical signatures, and you'll find a good selection of the themes, gameplay pieces and cutscene music featured in this popular real-time strategy game. With over 67 minutes of music over 14 tracks on the disc, and the stunning graphical presentation, this limited collector's edition soundtrack is a must for any fan of the game or powerful cinematic music. 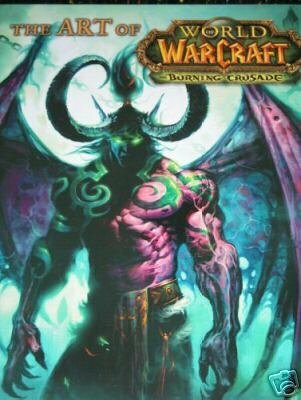 A hardcover book filled with over 200 pages of artwork from the World of Warcraft expansion The Burning Crusade. 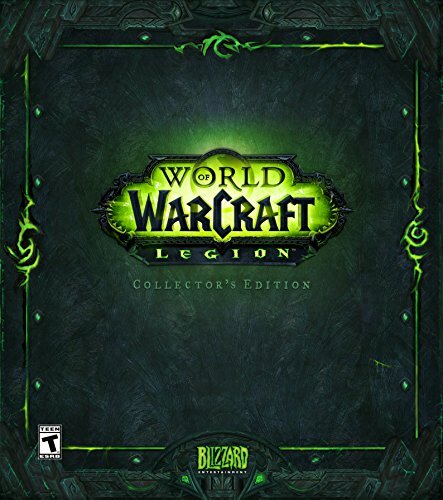 Compare prices on Burning Crusade Collectors at LiveSaler.com – use promo codes and coupons for best offers and deals. We work hard to get you amazing deals and collect all avail hot offers online and represent it in one place for the customers. Now our visitors can leverage benefits of big brands and heavy discounts available for that day and for famous brands. We try to makes comparison shopping easy with Product Reviews, Merchant Ratings, Deal Alerts & Coupons. Find Deals, Compare Prices, Read Reviews & Save Money.